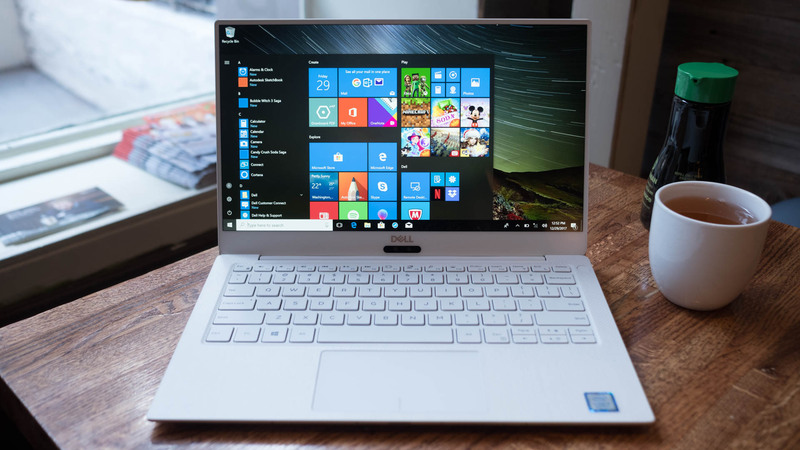 Dell has once again refined and improved its high-end laptop, with this year's Dell XPS 13 packing updated hardware in the thin and light design we've come to know and love, though this time we also get a new color: Alpine White. The new Dell XPS 13 comes with an 8th-generation Intel Kaby Lake Refresh processor, which gives it a noticeable uptick when it comes to performance, compared to previous generations, and it also packs three USB-C ports, Windows 10 and a microSD slot, which many thin and light laptops are abandoning these days, much to the disappointment of photographers. Not only is the Dell XPS 13 deceptively powerful, considering its diminutive size, it's also extremely lightweight – coming in at just 2.67 pounds. This means, not only is it cheaper than the MacBook Pro (one of its chief competitors), but it’s also easier to carry around. 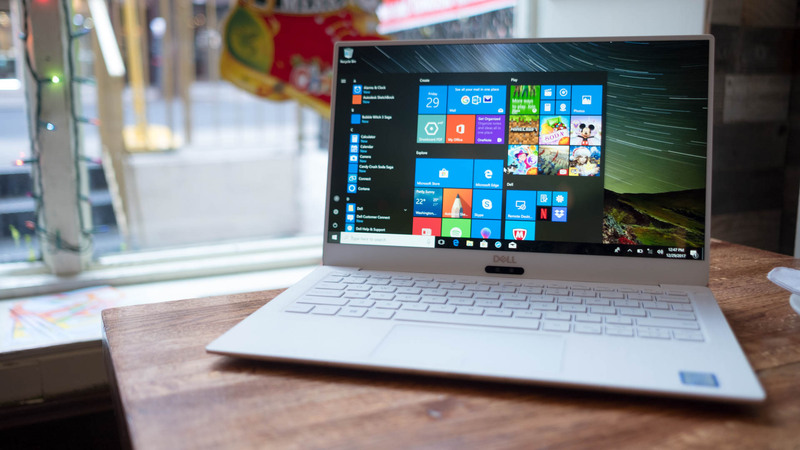 Not only is the Dell XPS 13 the pinnacle of laptop design in 2018, it also takes some inspiration from recent flagship smartphone releases like the iPhone XS Max, where bezel-less displays are all the rage. The improved Infinity Edge display on the new Dell XPS 13 has bezels so thin you’ll forget they’re even there. Once again, the Dell XPS 13 has improved in key areas, while leaving its best features untouched, which means it's once again one of our picks for the best laptop in 2018. 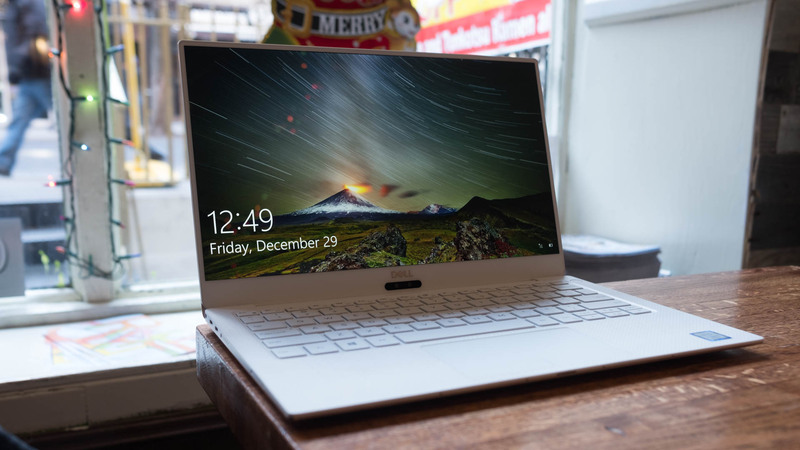 We’re extremely impressed by Dell’s new XPS 13, thanks in part to its new Alpine White finish. 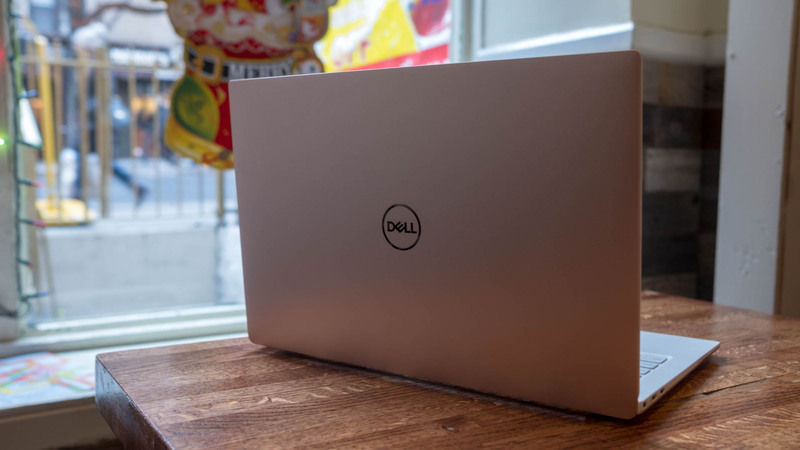 In fact, we’re so impressed by Dell’s new XPS 13 design that it’s earned TechRadar’s Best in Class award for laptops once more – and it’s still the best 13-inch laptop on the market right now. Although it comes with the biggest design revision in years, it's also more expensive than ever. Looking out for great savings on the Dell XPS 13 in Australia? Check out our sister site Getprice to compare prices! With the latest Intel processors, it should go without saying that the Dell XPS 13 for 2018 is the most powerful one yet. Naturally, what we see here are mightily impressive numbers from the latest XPS 13, beating its young predecessor’s numbers in every test. Why is that when this model uses the exact same processor as the 2017 model we tested recently? We chalk it up to improved thermals. In releasing this XPS 13, Dell is touting its use of Gore thermal insulation for stronger heat dissipation. That, combined with the more up-to-date quad-core processing that the 8th-generation Intel chips bring, results is far better performance in tests like Geekbench over that of the 2017 MacBook Pro. 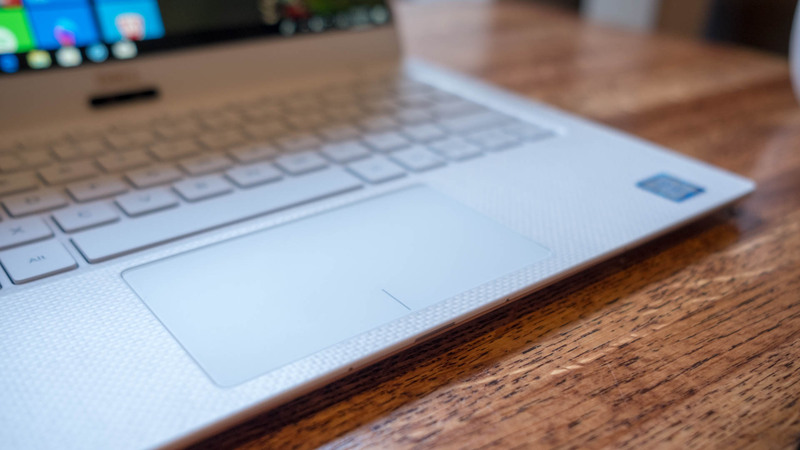 However, not even the 13.5-inch Surface Book 2 seems able to compete with the XPS 13 on core computing benchmarks, likely thanks to these thermal advantages. Of course, the Surface Book 2 wins on visual tests with its Nvidia GTX 1050 graphics. Dell’s new power management software also helps the XPS 13, with a ‘dynamic power mode’ that automatically delivers maximum power when needed, while carefully monitoring system heat. As proof, the system never grows too hot to handle (literally) under load. Of course, you’re not going to be able to play games on the XPS 13 beyond the odd casual or indie hit, but this laptop will be more than ready for photo editing, especially with its microSD card slot. Expect to be able to churn through spreadsheets with this laptop as well, thanks to that 16GB of speedy memory. These battery test scores are most impressive for a laptop with a 4K display, but again are well under Dell’s projections – wholly unsurprising. We can only imagine the numbers we might see on an FHD model, considering the previous lasted longer than 10 hours in one test. Of course, these numbers aren’t as high as we’ve seen on the new MacBook Pro much less the Pixelbook and Surface Book 2 (though, the latter has not one, but two batteries inside). However, all three of those devices are far better optimized for the operating system they run. Regardless, expect the XPS 13 to last you on most flights within the continental US and western Europe as well as across Australia. Dell has largely kept one of the best qualities about its laptops in tact: the inputs. Rest assured that the keyboard and touchpad have been untouched in their look and feel. The keyboard on the Dell XPS 13 doesn’t have the deepest travel ever, but the feedback is forceful enough. Still, we wish the ‘Page Up’ and ‘Page Down’ keys weren’t right above they arrow keys. It’s way too easy to jump up or down the page further than expected when trying to move between words in a document. 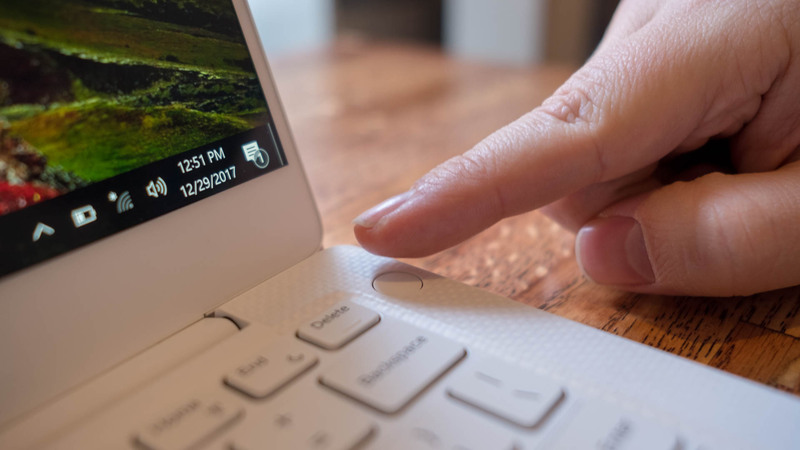 The glass-coated touchpad is just as wide as it can be given the 11-inch XPS 13 frame, and our fingers glide smoothly along its surface. Clicking feels oddly more satisfying on this laptop than most others in its class, perhaps save for Apple. We sincerely appreciate the new centered IR webcam, as it’s a sign that Dell is working on solving the common complaints of the webcam location on previous models. It’s also a simply better solution, thanks to support for logging in to Windows 10 using facial recognition. The brand new design and color option, as well as the gorgeous, optional 4K display and powerful processor are all heartily welcomed changes, too. Of course, the centered webcam position is a fine step in the right direction, but it’s still not quite in the ideal place for video chats. Yes, you’re investing in a laptop for a few years at least, but this problem exists right now. Plus, we’re bummed that the more affordable, entry-level configuration isn’t available for this new, better design. It’s official: Dell has undoubtedly done it again. In directly addressing the concerns of users, Dell has refined its XPS 13 laptop further than perhaps ever before. So much so that we’re inclined to give this laptop our Best in Class award all over again. Adding facial login and a four-mic array, moving the webcam, giving Intel’s chips more thermal headroom and adding a 4K panel have all evolved the Dell XPS 13 into an even more formidable Ultrabook. 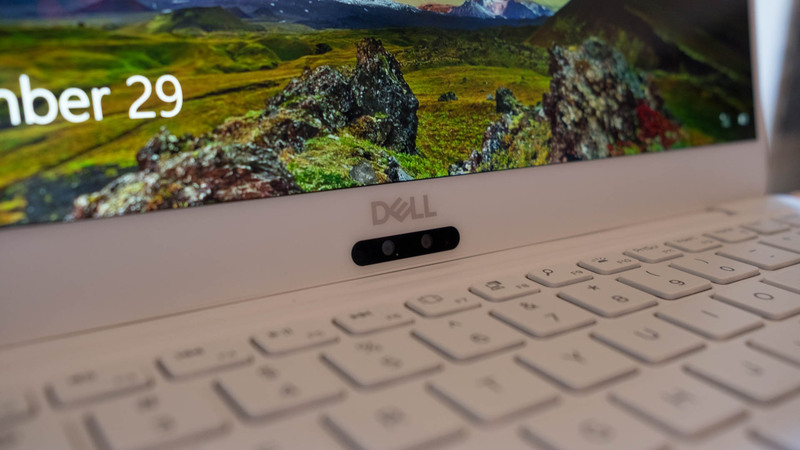 Sure, we’d like to see a top-mounted webcam and a lower entry cost for the 2018 model with a Core i3 processor, but what dell has crafted here is definitely worth the higher price. With all of the improvements made to the XPS 13 for this year, the rest of the laptop world now has a lofty benchmark to measure itself against for 2018, as Dell has once again set the bar high – very high.